Book Review: “Theology and Contemporary Critical Theory” by Graham Ward | J.W. Wartick -"Always Have a Reason"
Graham Ward, in Theology and Contemporary Critical Theory, seeks to bridge a gap between critical theorists and theologians. Critical theory is essentially various ways to look at how discourse is practiced through the means of socio-cultural factors. Yes, this is a simplified definition, but at its core critical theory engages with various practices of discourse in order to draw out the implications for how the conclusions may be reached. It calls into questions those conclusions by pointing out there may be more to the story. In order to explore critical theory, Ward outlines the thinking of various contemporary theorists under representation, history, ethics, and aesthetics. These topics are each interesting in their own ways, and readers will be often surprised at the turns critical theorists take. Much of the thinking involved here is of interest, sometimes as much for how wrong it seems as for how enlightening it may be. There are some very weird findings from critical theorists, who are often involved in psychoanalysis and other projects to draw out the alleged sources of purported evidence. Ward ends each chapter with insights into how the theories discussed may be applied to thinking about theology today. These conclusions are highly fruitful, as they demonstrate how even some approaches which seem at odds with Christianity in whole or in part may help shape theological thought. For example, issues of gender loom large and Ward suggests that critical theorists have jumped ahead of theologians in their thinking on the topic through explorations of how concepts of gender are formed. Whatever one’s thoughts regarding gender, it is true that theologians may do well to explore this topic further, whether from a critical (!) perspective or not. One area readers may fault the work is that Ward, while engaging critical theory, is rarely critical himself. That is, he seems to adopt the findings (if psychoanalysis of entire fields of research may be called findings) of critical theorists without himself having a critical eye towards these same. However, that would be to try to make the book into something it is not. 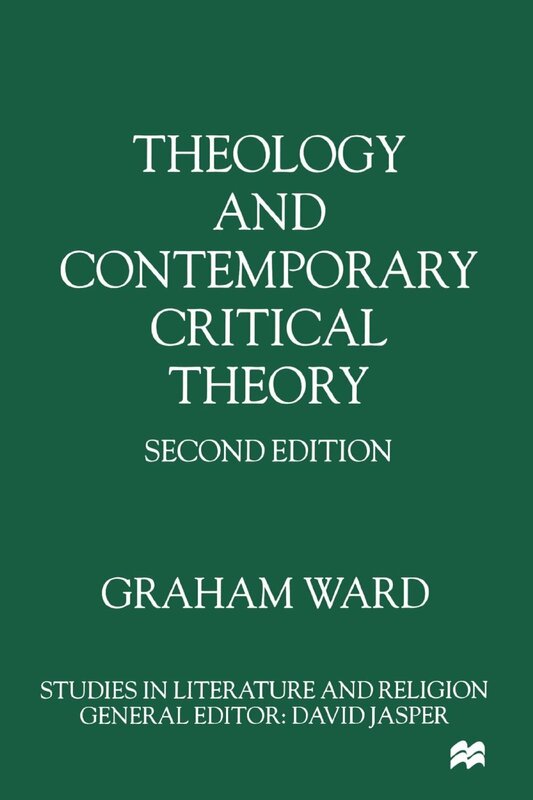 Ward’s project is to simply present critical theory and see how it might be applied to theology. That said, it would have been nice to have a chapter which engaged these theories. Those interested in the book should be aware that it really is the case that Ward essentially just reports on the theories and comments upon how theology might benefit from them. Again, critical theory is far more complex than outlined above, but Ward has set for himself the monumental task of distilling it and applying it to theology, another field which he stresses touches upon all aspects of human life and experience. As such, readers should realize that although this book is engaging and compelling, there is far more work which can and should be done in this area. Graham Ward, Theology and Contemporary Critical Theory (New York: St. Martin’s Press, 2000).